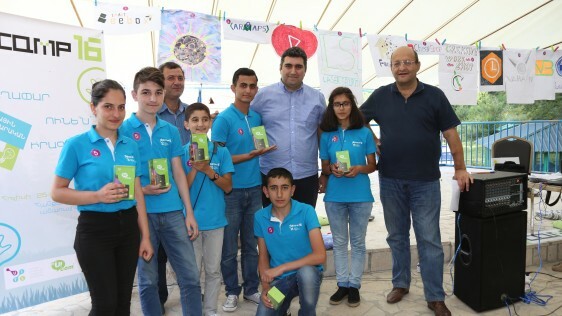 The young innovators aged 13-17 bid farewell to “Digicamp” innovation camp, that was held from July 25 to August 4 in Hanqavan. 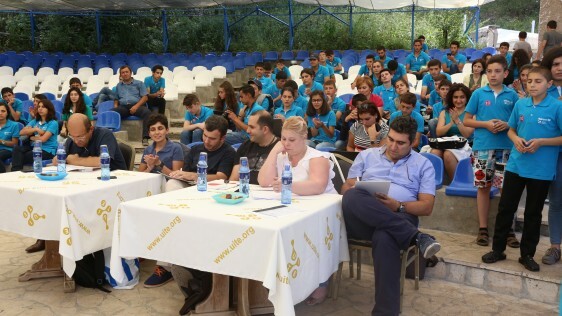 The fourth and yet traditional camp is conducted by the Union of Information Technology Enterprises (UITE) with the support of Ucom and German Society for International Cooperation (GIZ). 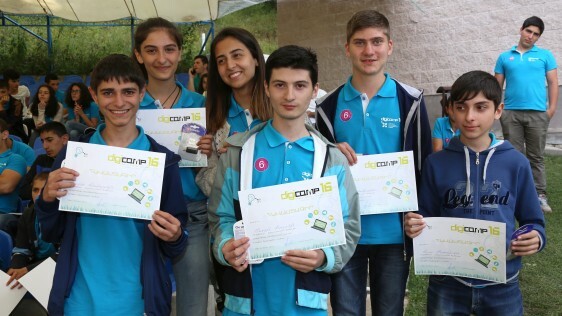 78 applications were selected to take part in Digicamp 2016 out of over 200, based on the ideas presented and their compliance with the standards announced. 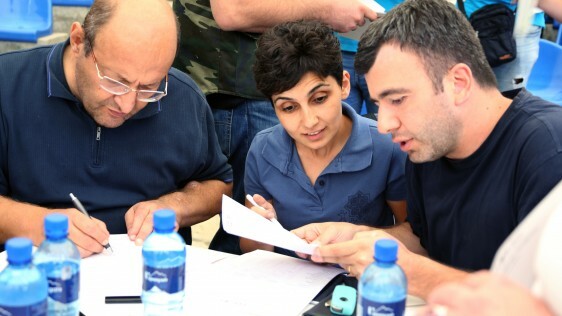 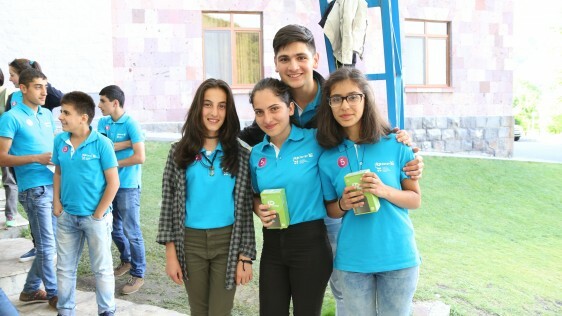 The substantive core of the Digicamp was comprised of innovative entrepreneurship courses, presentations of success stories of the Armenian leading technology companies, the practical work with mentors, as well as of cultural and sporting events. 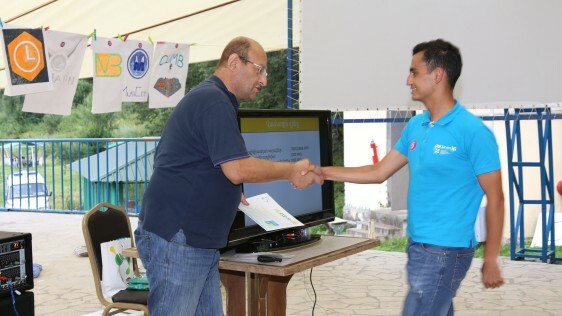 Having applied the gained knowledge, each participant has presented his/her business idea to the fellows, which resulted in the selection of 13 best ideas out of 78 by the participants themselves and then - team formation around every project. 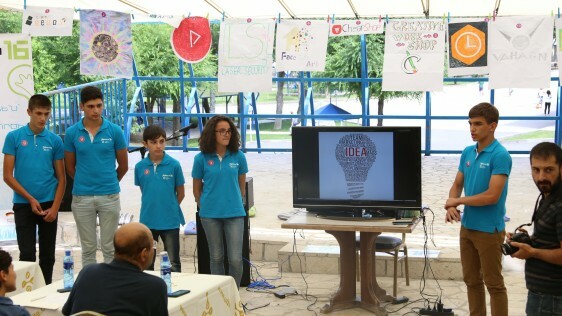 To be able to present those projects to the jury, the teams first took courses on innovative entrepreneurship, during which they learned to build business models and clarified not only the technical components of their ideas, but also the consumer segmentation, market, marketing and revenue model, they found out the financing opportunities at different development stages of the company and how to attract investors. 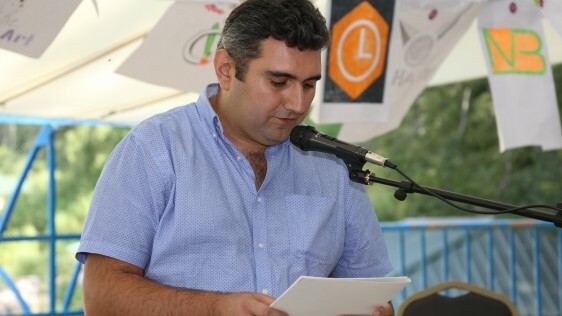 The Executive Director of UITE Karen Vardanyan trained young innovators in personal development to motivate them in their endeavors, and underlined the role and importance of the team work in all patriotic initiatives. 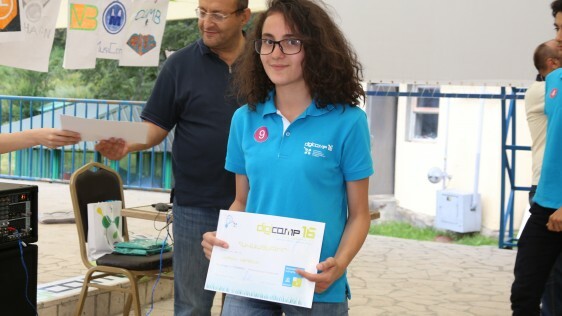 3 best projects selected by jury (Laser Security, MuBo, SmartBeeBox) were awarded with monetary prizes to put the ideas into life as soon as possible. 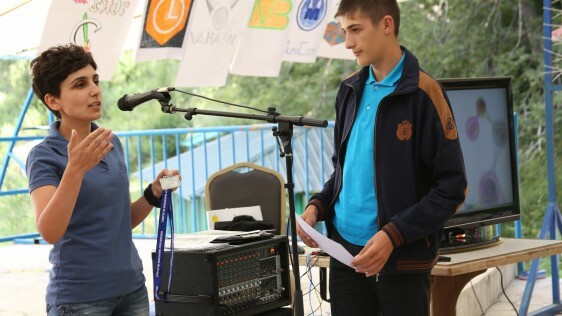 The participants have also received the certificates of honor and other awards for their achievements in various sporting events. 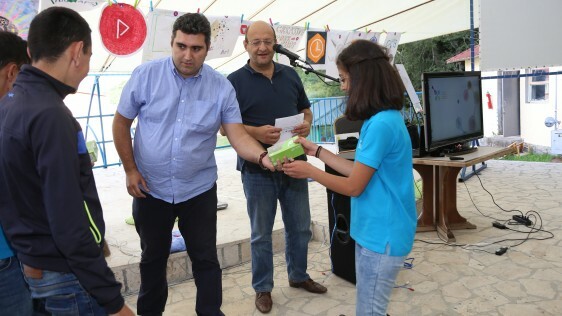 The smartphones – the special prizes by Ucom were handed to six members of the first place winner Laser Security team: Gevorg Hovhannisyan, Gor Vardanyan, Knarik Karapetyan, Anna Movsisyan, David Saroyan, Razmik Voskanyan, as well as to the head of the third prize winner SmartBeeBox team - Garik Qyarounts, the author of the “Just” project – Nairi Haroutunyan, and the best athlete of Digicamp 2016 – Martin Hovhannisyan. 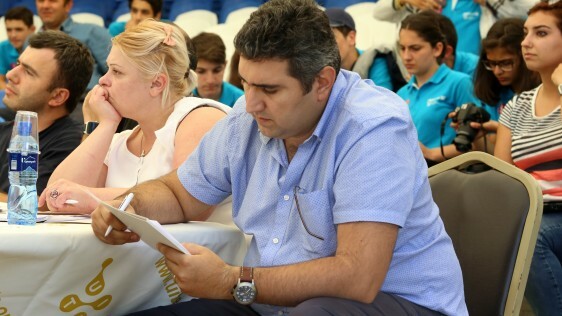 «It is education to equip us for our future battles in life. 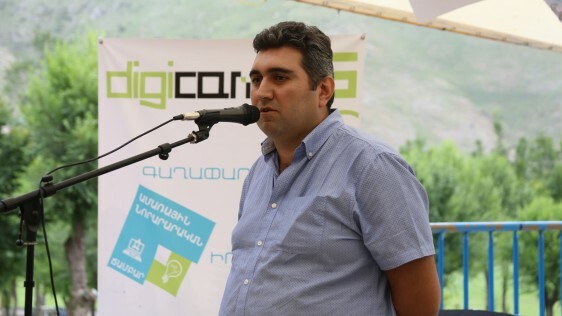 I am delighted to hear ideas, which have not been suggested by older and, therefore, more experienced experts anywhere”, - said Ashot Barseghyan, the head of the brand development and communications unit at Ucom.